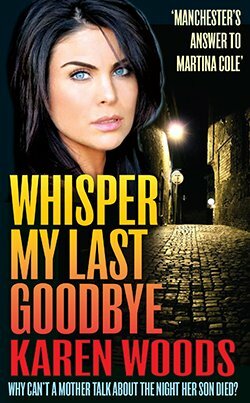 Buy "Whisper My Last Goodbye"
Harpur Murray is devastated when her heroin addict brother Brady commits suicide. But why can't her mother talk about the night her son died? Meanwhile, an internet romance with an old flame makes her question if she ever really loved her husband, Neil. Was he just a safe rebound following a violent relationship? In Karen Woods' labyrinthine Mancunian thriller, Harpur's family seem to hold the secrets to her son's death but will she ever learn the truth?